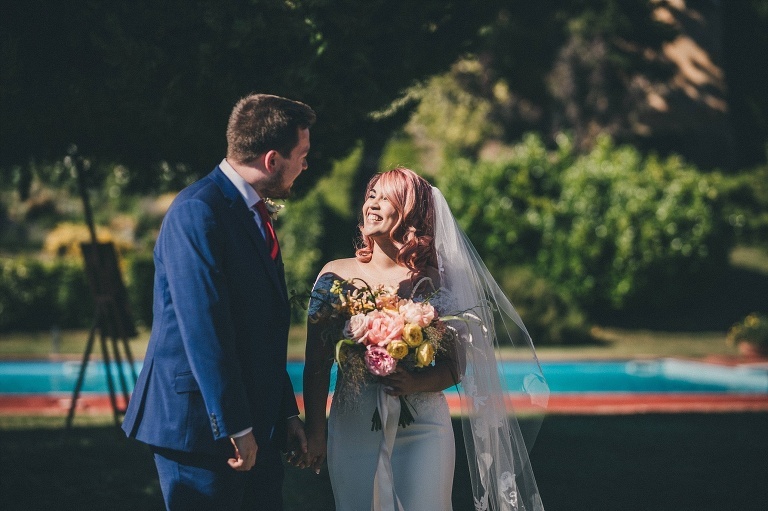 A Wedding in Tuscany at Villa di Ulignano | Jenn Edwards & Co.
A beautiful Wedding in Tuscany at Villa di Ulignano in Volterra……..
Take a deep breath as this wedding is about to knock your socks off! Mark and Michelle chose a beautiful setting, for their wedding in Tuscany, to celebrate their love surrounded by only their nearest and dearest. 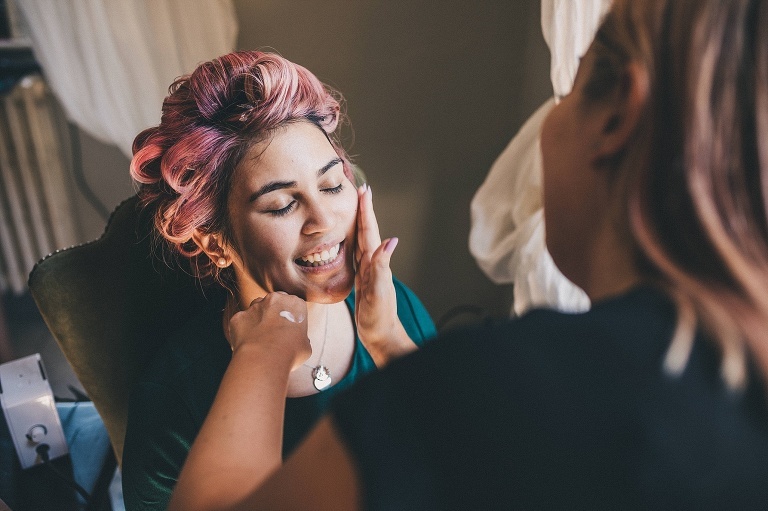 Naturally, I was over the moon when bride-to-be Michelle asked our team to join her and her bridal party, out in Italy, to provide hair and make-up on her wedding day at Villa di Ulignano . Myself and our makeup artist Tash even extended our stay so we could fully appreciate our surroundings, as well as a cheeky glass of red wine. It would be rude not to right!? Every aspect of this wedding in Tuscany is utterly divine. From the outdoor ceremony in the grounds of Villa di Ulignano overlooking the rolling hills of Tuscany, to the beautiful colour palette. Beautiful Blousy blooms in delicate corals and pinks contrasted beautifully with the Cobalt blue candles and glassware. The outdoor candle light reception images scream Tuscan Wedding luxe. Villa di Ulignano is perfect for ‘all’aperto‘ dining in style. With festoons lighting up the dance floor, and highlighting the stylish table settings, as well as their guests happy faces. This Wedding in Tuscany is one I could literally swoon over and talk about endlessly. These gorgeous images are by our good friend Claire Penn whom we’d recommend in a heart beat. A Tuscan Wedding is definitely her ‘bag’. It was great fun spending time with Claire ‘off duty’ in and around our hotel in Volterra – only a short drive from Villa di Ulignano. We also had the pleasure of the company of videographer Philip White. Not only is he one of the best in his field, he can leave a clean plate after a 28oz steak! Before you start to scroll through the images, I must tell you that the smiles and laughter you see were continuous throughout the day. 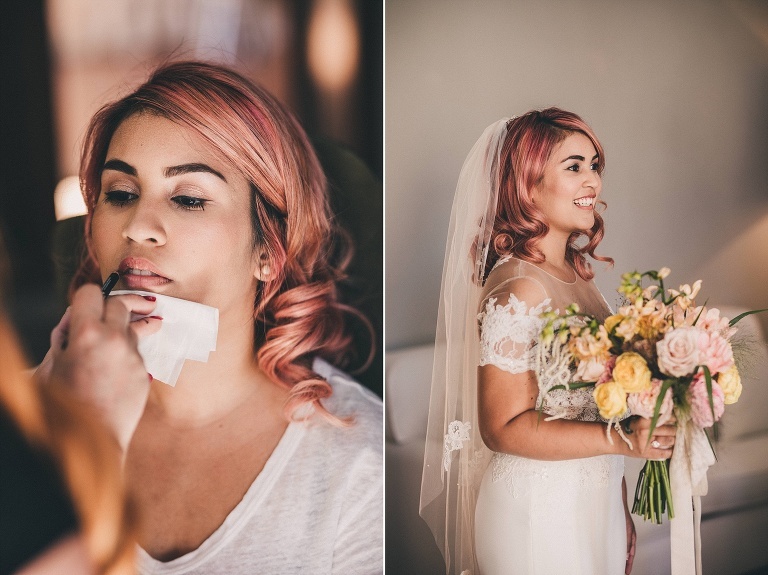 Photographer Claire didn’t need to worry about missing these moments because Michelle had a permanent smile. It was a pleasure, and an honour, to work with a bride so lovely. Michelle has the biggest heart! Massive congratulations Michelle & Mark, your wedding in Tuscany at Villa di Ulignano was every bit as gorgeous as expected!